Goldstone is a frontier mining outpost, where different cultural worlds collide, in an epically beautiful desert landscape. It is a place where Indigenous, and non-Indigenous, people push against each other like tectonic plates. It is a clash of cultures, ideologies and spirits, and it has been happening since “outsiders” first arrived in Australia. 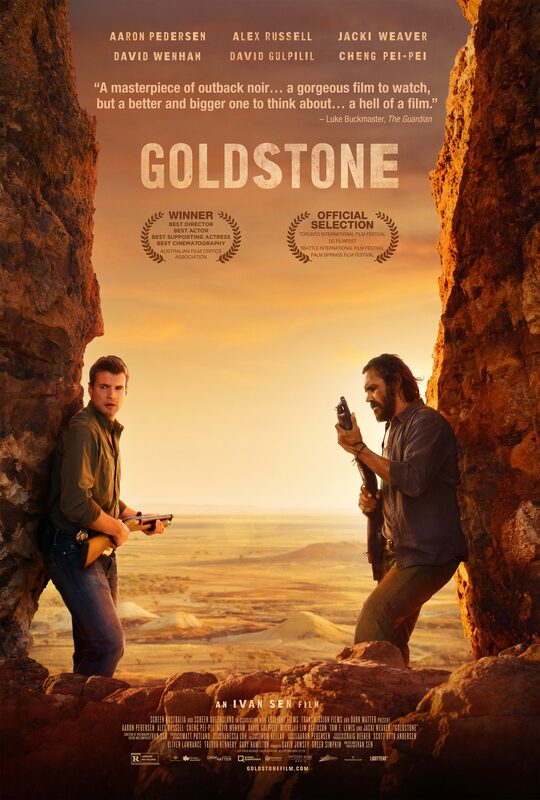 Indigenous Detective Jay Swan arrives in Goldstone on a missing persons enquiry. What seems like a simple investigation, however, opens a web of crime, corruption, trampling of land rights and human trafficking. Jay must pull his life together and bury his personal differences with a young local cop, so together they can bring justice to Goldstone.